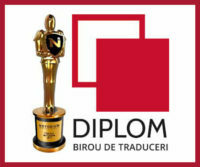 Diplom – multifunctional agency that has been providing for more than 14 years different business services for the customers from Republic of Moldova, as well as for the foreign ones, to the individual and legal entities. 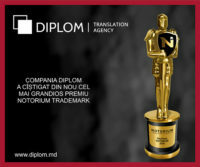 Notoriety and safety of this translation agency located in Chisinau and other cities of Moldova is confirmed by officially registered trademark that represents the guarantee of the high quality of provided services and strong positions of leader in this sphere. 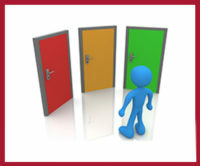 – Services of writing and translation of the presentation materials for reports and statements. The portfolio of our agency includes more than 50.000 successfully completed translations of different format and difficulty level. The customers satisfied by the quality of our services recommend us with confidence to friends and partners. Professional qualification of our translators is officially confirmed by the authorizations officially released by the Ministry of Justice. Translators of rare languages, as well as those of the most requested ones, both make part of our team. The sphere of their competency includes different areas of activity and terminology – from literary translation to financial, comprising legal, medical and other related fields. Experience and knowledge of the authors specialized in writing of scientific and student papers, articles and other types of texts has been confirmed through the practice of high quality execution of orders. Customers benefit from complete and adequately performed services – print form according to the standards, in case of necessity legally notarized translation, including extra legalization stamps etc. If you address to the one of our Chisinau offices or another office in Moldova, you can be sure about the adequate and accurate work even in case of the most urgent and complex translations. Additional commodity for customers – suitable location of the offices for the delivery of services in Chisinau and other cities. In order to access your order, it will be enough to get in touch with us via email or telephone. Our agency accepts all means of payment, taking into consideration suitable means for customers. 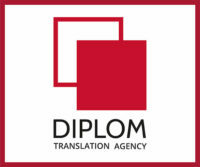 Translation agency Diplom – one language for the whole world!